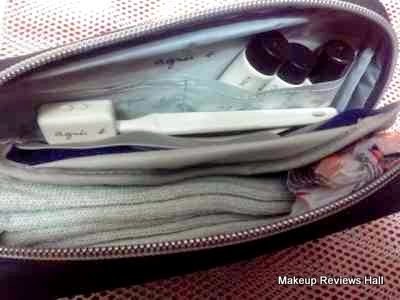 Agnes B Travel Kit to Cathay Pacific Passengers. Traveling is quite common among many people. People travel for different reasons, some for work, some because of work and some for a break. Travelling becomes so refreshing and relaxing specially when you are on a break from you're routine hectic schedule. It becomes even more pampering when some amazing airlines add a personnel touch to their services keeping their customers at priority always no matter what. Similar is the situation of a well known Airline Cathay Pacific which delighted its customers with this so travel friendly and convenient travel bag. Take a look at this Agnes Travel Kit. Cathay Pacific Airways unveiled its new range of amenity kits for long-haul Business Class travellers featuring products from Jurlique, a renowned Australian natural skincare brand. Signature products such as Day Cream, Citrus Hand Cream and Lip Care Balm will be offered. The products are packed in a pouch exclusively designed by Agnès B. In addition to the Jurlique products, the amenity kit also includes socks, an eyeshade, earplugs, a dental kit and a shoehorn (for male amenity kits only). The disposable toothbrush and shoehorn are made mainly from corn starch and cellulose – biodegradable, recyclable materials that use fewer resources in the production process. This demonstrates Cathay Pacific’s ongoing commitment to being a socially and environmentally responsible company. PouchJurlique Moisture Replenishing Day Cream. Agnes B Toothbrush & Spatula. Pair of soft cotton socks. 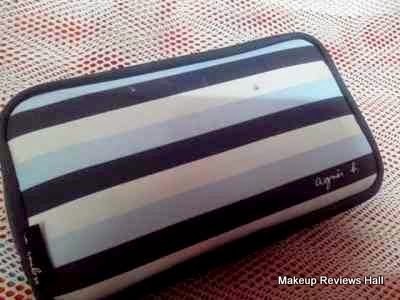 Experience with this Agnes Travel Kit. The flight journey couldn't have been this better without this so pampering stuff in the air. The day creams added a touch of softness along with soothing fragrance. The toothbrush with the cap is too good and hygienic that I love carrying such things while traveling. Last but not the least comes an eye shade, though common but one could not easily spend time on the board without this wonderful piece. Because after all these pampering session, midnight snacks, music what one needs is a relax peaceful sleep specially if your journey is of longer duration. Overall this Agnes B Travel Kit definitely adds to the pleasure of traveling making the journey very comfortable and relaxing. I would have loved it more if they would have added few more basic things to this kit like hand sanitizer, small manicure kit, a small mini deodorant or a body mist and a pocket comb. I'm a kind of a person who like carrying every required necessary things to avoid any trouble on the way. Though I know a missing lip balm, deodorant or even a comb would not result in any harm but today when we are living in the era of proper grooming and hygiene, these kind of things definitely adds to passengers services. I would have loved this bag more with completed basic requirement, but still I quite like the kit and the idea of Cathay Pacific to add a personnel touch this way to its passengers. 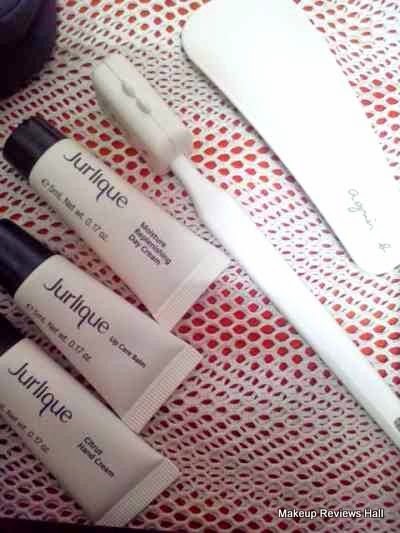 I would soon be reviewing these 3 very cute Jurlique products and my experience with them. Till then take care. Labels: Agnes B Travel Kit, Travel Bag.